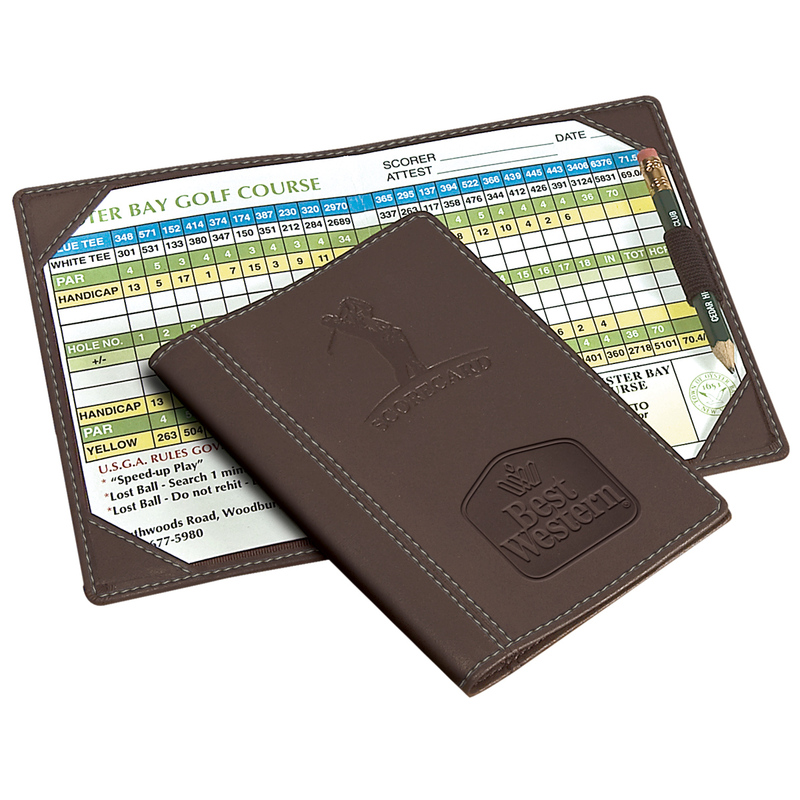 Durahide PU leather scorecard holder. 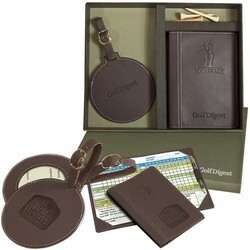 Golf tag features name and address card. 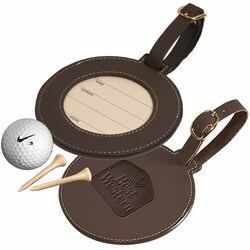 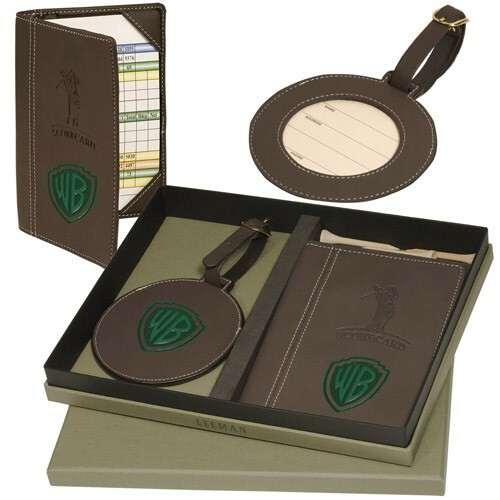 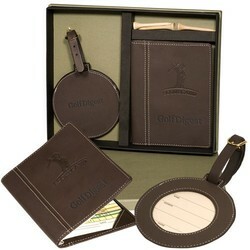 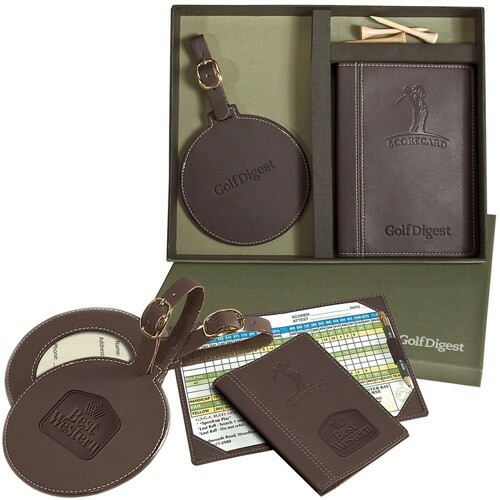 Price includes embossing on tag and scorecard holder. Box can also be imprinted for a fee; please inquire.